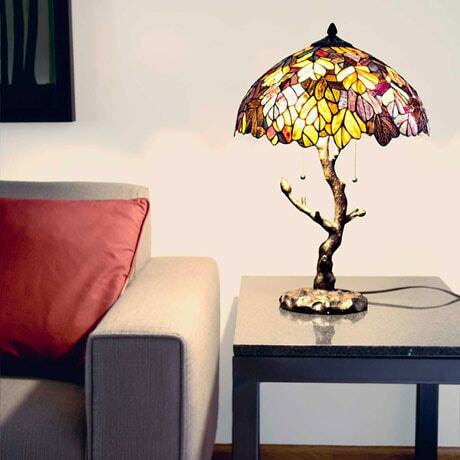 This beautiful lamp reminiscent of a maple tree is a true work of art. 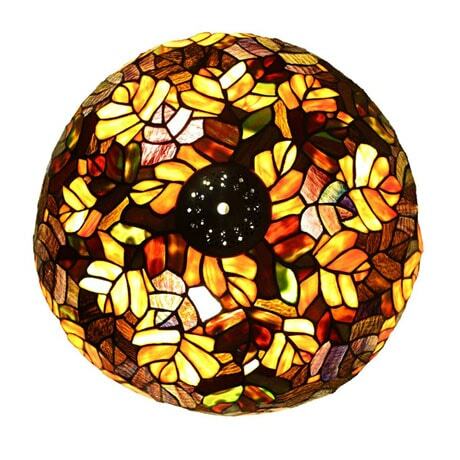 Lampshade has been crafted Tiff any style with 411 pieces of glass in warm colors of green, brown and orange all joined with copper foil. Tree trunk base in antique bronze finish. Two pull chains. 65" cord. Takes 2-60 watt bulbs (not included). 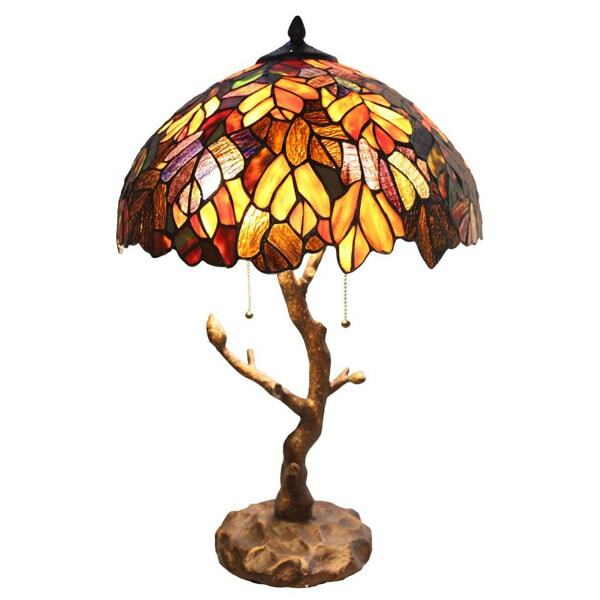 Dimensions: Base is 8" diameter; Tree Trunk is 19¾" Tall; Lamp Shade is 16½ Across x 13" Tall. No gift wrap.